To access the free trial, you need to create an account and login. 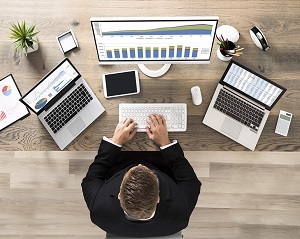 Get ahead with exclusive forecasts, the most comprehensive and up-to-date databases and world renowned marketing intelligence tools through Enerdata’s Information Services. Our 7-day free trial access offers an in-depth look at our set of services on an unrivalled user-friendly interface. Benefit from a 360° presentation / Q&A and discover how Enerdata’s unique insight can reshape your business. Detailed country reports offering independent, granular analysis of proven energy transition progress (relative to Paris Agreement pledges) in emerging markets. Progress is broken down into sectors and industrial branches. Includes three forecasts elaborated through our robust scenario-based approach. 110+ insightful and comprehensive country reports covering policy/regulatory, market structure, players, supply and demand, prices, infrastructure and prospects. Includes visual graphs and easy-to-read tables. Easy country benchmark, content search engine and custom report generation. Customisable newsfeed carefully elaborated and verified by Enerdata analysts. Leverages premium global and local information sources on energy and climate topics. Up to 300 time series (or data series) by country on oil, natural gas, biofuel, coal and power markets for over 40 OECD and non-OECD countries. Updated every month with latest available data from premium sources. Provides statistics from premium sources on production, import, export and consumption. 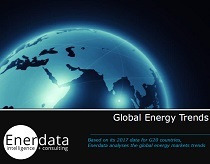 The most comprehensive annual energy database (up to 2000 data series by country for 186 countries). Continuously updated: the first to release consolidated statistics each year. Long-term, country-level forecasts through 2040 for demand, prices, power generation and GHG emissions by sector for all energies and power-mix forecasts. Three exclusive scenario projections from the globally recognized POLES model. 65+ countries and aggregates covered. This innovative service is dedicated to future energy consumption by sector, drilling down to end uses and industrial branches. Enerdata’s Country Energy Demand Forecast offers a powerful modelling platform that is delivered on a simple web interface. EnerDemand provides a unique selection of data to monitor energy efficiency trends and access detailed information for the world’s most energy-consuming countries. 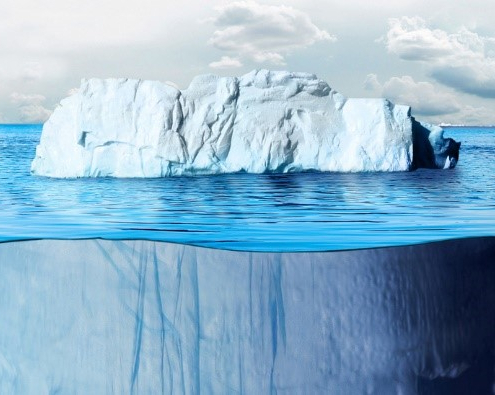 The 20-year-old project Odyssee is supported by the European Commission and coordinated by the French Environment and Energy Management Agency (ADEME). This database contains energy consumption drivers, efficiency and CO2 related indicators by sector from 1990 until 2016 for the 28 EU members plus Norway, Serbia and Switzerland. Enerdata manages the online database providing easy-to-use data query software that permits advanced analysis. This powerful intelligence tool allows you to screen, monitor and analyse power generation asset development. Power Plant Tracker gives you an in-depth understanding of the future of the power generation mix, so you can to assess the industry drivers and identify companies’ asset portfolios. The LNG database gives detailed and up-to-date information of liquefaction, regasification facilities and LNG carriers for North and South America, Asia or EMEA. Reports identify key gas companies through their shareholdings in processing plants, highlight major projects in new gas producing and importing countries and project future LNG market developments by LNG zone, location, facility name and type. This database is dedicated to both operational and planned refinery units around the world. It is an indispensable tool used to assess current and future production capacities of refined oil products by country and region. Problem accessing the free trials? We will set it up for you. Please contact us indicating the services and your organisation’s name and country of residence.